This is an excellent month for accomplishing big goals or initiating new ones. Some of the best planets for all kinds of action and work (Mars, Sun, Venus) are all strong and in supporting positions to Aries, meaning that you can accomplish pretty much whatever you set your eyes on this month. Mars, Sun, and Venus are all planets of quicker motion and short-term time effects, so it’s better to use this energy in short-term projects that you can accomplish in the next few weeks instead of long-term goals that would take months. The aspect of the Sun in Leo goes deeper than just work-related activities; it works directly on the heart to bring you more in line with your destiny, illuminating your intuition so that you find it easier to make good decisions that support your life path and goals. The trine of Saturn on the Sun may actually encourage you to take some time off and focus on personal growth, but even then you will find that some work gets effortlessly accomplished and some goals are effortlessly met. Venus will be strong with a full aspect on Aries throughout the month. In a general sense, Venus is the planet of passion and love, and its aspect from Libra can open up new relationship possibilities or help take a current relationship to the next level. More specifically for Aries, Venus has a strong influence over how you express yourself in the world, who you feel comfortable expressing yourself to, and your ability to really open up and connect with others. Its strong placement in Libra this month will help you open up to others, open up potential job opportunities or partnerships, and may bring someone into your love-life. The aspect of Jupiter on Venus elevates the usually sensual nature of this planet so that you can see people on a higher and more personal level than just their bodies, see situations on a deeper level than just gratification, and direct your attention to more meaningful activities. An exalted Mars graces Capricorn, functioning well now that it’s been out of retrograde for about a week and resumed its normal motion. This adds a tremendous amount of energy to your work and career, and in general orients your energies that direction so that you have probably been working quite a bit for the last few months. This month will likely be more relaxing than the previous months because of the strong aspect of Venus, a planet that prefers to take things easy and relax a little. As such, the energy of Mars may take a back-seat this month, still giving blessings and helping you accomplish work, but in a way that doesn’t feel as stressful and exhausting as the last few months have been. On the 15th, the Sun will leave Leo and enter Virgo, which will be the only substantial planetary change in position this month, the rest of the planets remaining in their signs throughout the whole month. The Sun in Virgo is a much more work-oriented placement for you, and trines it with the strong Mars in Capricorn, so your period of rest will likely start to come to an end by the 15th or 16th of the month. This can result in having to do some work for the government or your father that you didn’t really volunteer for, thus resulting in some unwanted or forced work. The ascendant lord Venus, which directs the general direction of your month, is placed strongly in Libra all month alongside Jupiter. This directs your energies towards selfless service, and is an excellent time to be doing charity and volunteer work, using the noble energies of Jupiter to direct your work towards selfless and noble endeavors. 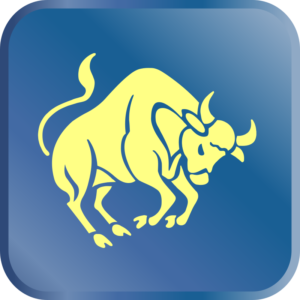 However, Jupiter can be a difficult planet for Taurus ascendants, and its transit through Libra may cause health issues with maternal grandparents, making the service indicated by Venus to be service and help rendered to family. These are also good transits for wealth and increase of income. The Sun begins the month very strong in Leo alongside a friendly Mercury. This combination is good for real-estate, moving offices, moving into a new house, and any of the clerical work involved in these endeavors. Some educational opportunities may come up, or you may be starting some schooling or getting additional education. On the 15th the Sun leaves Leo and enters into Virgo, followed a few days later by Mercury, which creates a much heavier focus on the educational aspects of this transit. This is also a good time for important business deals and trades. Saturn is still sitting in Sagittarius in the lunar mansion of Mula, where it can cause some health issues related to stress or depression. The strong aspects of Venus and the Sun this month should really help give some relief from these problems since you’ll be happy and feeling strong throughout the month. The Sun in Leo will give you a strong sense of purpose and direction, and the extra energy given to you by your ascendant lord Venus will give you the energy to carry through and do something with that purpose and direction. 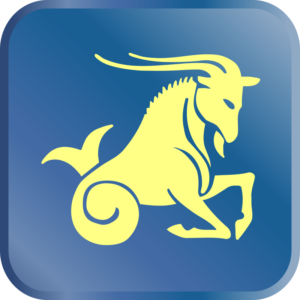 Mars is exalted in Capricorn, and has resumed its healthy forward motion after a long retrograde in the previous month. Mars is a difficult planet for Taurus, but its powerful placement this month and next month supports all of your educational endeavors and business projects, and is especially good for students finishing up an education and preparing for graduation. This position can also grant promotions at work and help support relationships. The ascendant lord Mercury begins the month in Leo, directing your energies towards travel, contracts, and negotiations. It is joined by a strong Sun in Leo as well, which further supports those endeavors. On a deeper level, the sign Leo rules the area of your life that is meant to “equip” you with the tools needed to live a healthy and successful life. 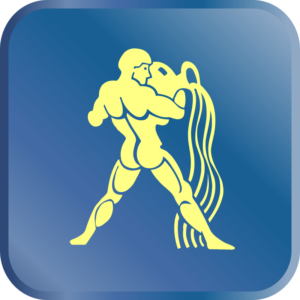 Where the opposite sign of Aquarius represents your personal values and character, the sign Leo is what drives you to self-refinement and personal growth, which then manifests as your values and character. With so much strength in this sign, the last two weeks of August and the first two weeks of September become a great time for self-cultivation, teaching yourself new skills and working on personal refinement so that you can live more effectively and efficiently. On the 15th the Sun will leave Leo for Virgo, and on the 18th Mercury will do the same. From Virgo, both the Sun an Mercury support your living situation, your office, and your educational endeavors. The Sun’s placement here helps illuminate the mind and give you some divine guidance and inspiration, while Mercury here is great for supporting your work and home. Venus is very strong in Libra throughout the month, and it is joined by Jupiter as well. These transits may cause some expenses or debts in relation to your work or children, but ultimately these are auspicious transits. They support educational endeavors and help fill the heart with love and compassion, the noble influences of Jupiter helping to transform the usually sensual impulses of Venus into a higher and purer form of love. One result of this is that it is possible to conceive a child during this transit, and in fact for couples trying to have a kid this is a pretty good time to try, especially while the Sun is still strong in Leo, since the heart is in a good place and the energies are supporting it. Mars has resumed its beneficial forward motion in Capricorn, where it helps nourish and strengthen the physical body. Since Mars is a difficult planet for Geminis, its medicine may be bitter medicine, such as a hospital visit or treatments, but ultimately this transit should be good for strengthing the body and removing any latent health issues that have been causing problems. When combined with Rahu in Cancer, finances will likely still be a struggle, though Jupiter and Venus’ presence in Libra may be strong enough this month to help bring some extra money your way. There is a lot of work happening in your fourth house, the zodiac sign of Libra, this month. This part of the chart rules mundane parts of life such as your house, office, and living situation, but also depicts the heart and mind and what they are moving through. A strong Venus is here throughout the month, increasing finances and improving your living situation, while also helping you with vehicles (whether fixing one or buying one). Venus is joined by Jupiter, and Jupiter is very auspicious here for Cancer ascendants; ennobling your character and the passions of the heart, directing your energies towards self-refinement and cultivation. For those on the spiritual path, this is a great combination of influences for personal development and refinement. For those who are in a different stage of life, these combinations will improve your situation at the office, help with improvements at the house, and signal a good time for taking care of vehicle issues as well. The Sun begins the month in Leo, where it helps support your finances and can give you energy for changes in your health routine and diet as well. Some travel for the sake of finances or family can also be indicated due to the association of the Sun with the planet Mercury, an association likely to result in some travel this month. On the 15th the Sun will leave Leo and enter into Virgo, joined a few days later by Mercury (who is very well placed in Virgo at that time). This is an even more potent combination for travel, though more for education and spiritual endeavors than for making money (the opposite of the beginning of the month). This combination receives a full aspect from Saturn, which can be difficult depending on how Saturn is placed in your chart. 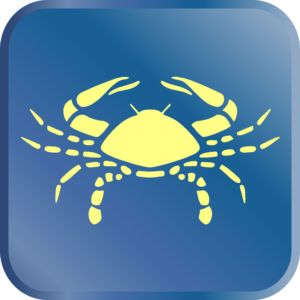 Saturn is inherently a stressful planet for Cancer ascendants and often causes a lot of work, meaning the nature of the travel later in the month and into the first two weeks of October may involve a lot of work and effort on your part. On the 6th, Saturn finally leaves its retrograde motion and resumes a regular motion through Sagittarius, which greatly facilitates work and personal accomplishments, giving you more energy and discipline to get things done, while also probably lessening some unexpected workloads you had taken over the last few weeks while Saturn finished up its retrograde. Mars has also quit its retrograde motion this month, and as such will continue to give a lot of energy to get things done and accomplish personal goals. Problems with business partners should resolve, holdups at work should also resolve, and you’ll have the drive and willpower to get a lot done both in your professional and personal life. Relationships will also benefit and be strengthened by this transit. The Sun begins the month in Leo, which greatly strengthens the whole chart for the month and gives plenty of energy for self-transformation. Since the Sun is your ascendant lord, its placement in Leo for the first two weeks of September means you should actually go out of your way to work on yourself, especially physically since the Sun helps govern the physical body, making this a good time for diet and exercise. 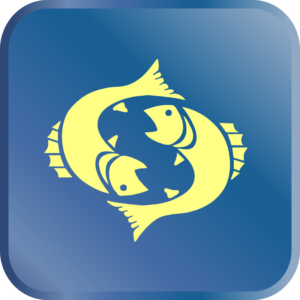 Mercury is also in Leo until the 18th, which is good for both finances and family related matters. On the 15th, the Sun leaves Leo and enters into Virgo, where it is joined a few days later by Mercury, forming a very strong combination for the last two weeks of Septemeber and the first two of October. This is good for spending time with family, making changes to your financial situation, and taking care of paperwork/taxes, etc. Saturn will be strongly aspecting this combination, which could prove difficult for the health of your father, or could cause a digestive issue to flare up. Mars has finished its retrograde motion and continues its march through Capricorn this month. This is a good time for working on your house or office, making any repairs or changes necessary, or may just cause your house to be a busy place with lots of commotion! For those on the spiritual path, this transit is good for serving the teacher, working hard with your practice, and doing some austerity. On a more mundane level, you may end up doing extra work or service for a superior or manager at work, or you may need to get some additional education. This transit supports the Sun in Leo, making this month an even better time for working on the physical body through diet and exercise., but you need to be careful! Mars in the 6th house can always cause a risk of energy, no matter how well placed or happy it may be there! Exercise intelligently and don’t do anything too extreme. Venus will spend the month alongside Jupiter in Libra, where Venus is quite strong and Jupiter is quite weak. Jupiter’s presence here is good for writing, managerial work, and education. Venus is good for relationships and travel. As has been the case with other signs this month as well, the combination of these planets is a kind of battle between our sensual nature and our virtue, and the goal is to harmonize them so that the passions become ennobled through the blessing of Jupiter while our character becomes compassionate and loving through the presence of Venus. Their combined energies are about meaningful connections to others, and as such you have likely been spending a good deal of time with friends and loved ones at the beginning of the month, and will likely continue to do so throughout the month. This month begins with a somewhat rare combination called “subhakartari yoga”, meaning your rising sign is flanked on both sides by strong, positive planets that support and nourish it. The peculiar nature of this combination happening around Virgo is such that you are benefited through investments, travel, relocation, and/or family. The strength of the Sun in Leo supports investments and relocation. Since the Sun is joined by Mercury there will be expenses due to these travels and relocations, but the strength of the Sun helps make these expenses beneficial and worth-while. The other end of the subhakartari yoga is with Venus and Jupiter in Libra. These two planets give support from family, which can help with the relocations and travels mentioned above. They also support the physical body through medicine, herbs, and treatments, making this a good time for getting any medical help that may be needed. 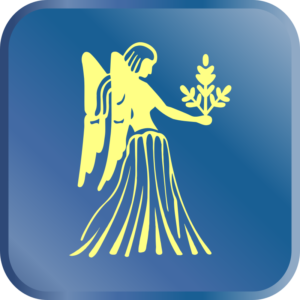 On the 15th, the Sun will enter into Virgo, a more difficult placement than earlier in the month. It still enforces the idea of some financial loss through investments or moving, though the benefits aren’t as strong as earlier in the month when the Sun was well placed in Leo. Your father may cost you time and/or money, or you may have to travel due to business or family. You can incur some financial loss from the government such as big fees or taxes. Venus and Jupiter in the 2nd house can help override some of these difficulties by giving some financial support from other family members. An exalted Mars is moving through Capricorn, which can cause a good deal of stress due to its being joined by the southern node of the moon. The areas of life causing stress are debts/expenses this month, problems with income, and health or inheritance issues. Nonetheless, the exalted planet aims to do good, and when joined with Ketu the actual sources of the problem are karmic and from previous lives, so you just need to work through it since the lunar nodes (ketu and rahu) have a tendency to push things out of your control, leaving you with the ability to control how you respond to the situation, but not the ability to change the situation itself. The are four worldly pillars in the chart, so-called because they rule the fur areas of life that support our worldly efforts; our health, our house, our spouse, and our career. All four of these areas are either occupied directly or strongly aspected this month. When these four pillars are all active like this, it means this is the opportune time to develop and transform these areas of life, putting your time and attention towards them over other more personal concerns. The very strong placement of your ascendant lord Venus in the ascendant itself (Libra) all month long should give you plenty of energy to accomplish your goals and keep pushing forward. The first two weeks of the month are definitely the strongest since the Sun is so well placed in Leo. This is good for managing your finances and trying to get a promotion or increase in pay. An exalted Mars is supporting the Sun while in Leo, which means that you should work on your office space or work environment for the first two weeks of September to increase productivity, or learn a new vocational skill that you feel will help your work endeavors. This is also a good time to work on your house and make any improvements that you have been planning. On the 15th the Sun moves into Virgo, followed by Mercury on the 18th. Both of these planets can cause some pretty serious expenditures due to education or travel expenses, though the travels or education will be beneficial and supportive for you. Saturn’s aspect on both the Sun and Mercury after the 18th further supports travel, especially trips that take some time (a few weeks instead of a few days). Education-oriented travels are definitely supported. The ascendant lord Mars is continuing its exaltation in the sign of Capricorn, an earthy and practical sign that for Scorpios is associated with self-cultivation, refinement, developing skills, as well as travel. In the lunar mansion of Uttarashaddha Mars particularly gains the qualities of self-refinement, turning your attention towards things like exercise, diet, and meditation. 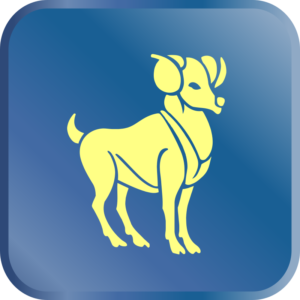 From Capricorn it casts a full aspect on the 9th house of morals and principles, its transformative energy helping to refine your principles, as well as on the 10th house of work and career in Leo, where Mars will support your work endeavors by encouraging you to learn some new skills or work with new people. This coincides well with the general trend of your chart throughout this last year, with lots of transformation happening in your character and principles. 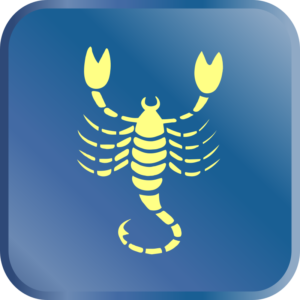 Venus and Jupiter both occupy Libra, a difficult sign for Scorpios to have so active. The strength of Venus here helps to offset some of the problems, and potential conflicts in relationships or business turn into simple travels or distance from a loved one due to work, as well as paying off debts or other expenses that are ultimately beneficial in nature. 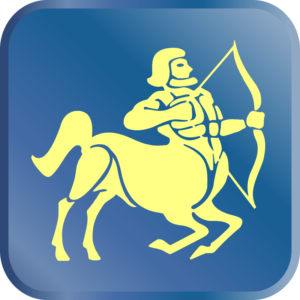 Jupiter is in the lunar mansion Visakh all month, which means you’ll be working on balancing your finances and taking care of debts. Venus begins the month in Chitra, indicating that a spouse may be traveling due to work or managing a project, or that a business partner will be likewise engaged. 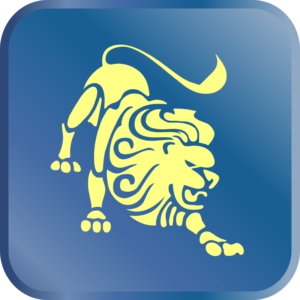 The month begins with a strong Sun and Mercury in Leo, which supports career and benefits your financial situation. The Sun represents the source of divine inspiration and guidance, and being so strong in Leo helps refine and develop your sense of destiny and how you direct your energies. The additional influence of Mercury leads to education in health or additional education required for a job, and can bring some extra pay or a bonus your way. On the 15th the Sun leaves Leo and enters into Virgo, joined by Mercury a few days later. This is a good transit for all kinds of travel, and may give a small increase of income (Saturn’s strong aspect weakens this possibility). The aspect of Saturn from the 2nd house can direct this travel towards family, and also make family the source of some additional money through gifts or financial help. On the 6th, Saturn will quit its retrograde motion and resume its forward transit through Sagittarius. Saturn is the great teacher, often of hard lessons, and its transit through Sagittarius will continue to develop and mature your sense of self, who you are, and your role in the world. It does this by developing your relationship with family, changing your own concepts of what is important in family, and helping you develop new skills. By the 15th, this Saturn will aspect the Sun and by the 18th it aspects Mercury as well, which means that the skills and life-direction you have been developing over the last year can come to fruition in some possible job opportunities. The month begins with the Sun in Leo joined by Mercury. This is good for bringing a relationship to the next level, as well as getting a promotion at work or an auspicious career opportunity. The Sun and Mercury are both very important planets for Sagittarius because they help direct your sense of destiny and purpose in life. Their strong placement in Leo for the first two weeks of September (and last two of August) means that there should be a lot of harmony in your life, and things should be coming together well in both work and relationships, with a sense of clarity about how to move forward in these areas of life. On the 15th the Sun leaves Leo and enters into Virgo, where it is joined a few days later by Mercury. This is a good time for signing contracts related to business partners or new jobs. Friends or close connections may open up a new door for you in your career. The aspect of Saturn may inhibit any new job offers in the form of it taking longer than expected, but if the offer or promotion comes through the recommendations of friends or associates then there is no harm. A traditional job is best, one that has a long tradition and culture associated with it. An exalted Mars graces Capricorn, alongside a difficult malefic Ketu (southern node of the moon). This is a strange combination of powers because Ketu diminishes energy in a sign but Mars enhances energy. As such, there is some strife taking place in this sign, which can cause stress with family members and may also make some health issues arise such as ulcers or high blood pressure. The aspect of Venus on Mars may give assistance through seeking medical help in regards to health, or a therapist in regards to family. The strong Venus in Libra is auspicious for increased finances, and in general there are a lot of supportive energies this month for improving your work situation and making some money. Capricorn has a lot of energy that needs to be directed, but it has to be directed with some care and self-control or you run the risk of working yourself into the ground, completely exhausting yourself. This is because the exalted Mars in Capricorn coupled with a strong Rahu in Cancer pulls your energy forcibly into the world, making you very work-oriented even to the point of self-neglect. Pacing yourself, supporting the body with sleep and a good diet, and working with focus and clarity will help hone the sword of Mars and drive it home towards your goals. There is great potential for success and accomplishments this month, with much of the sky supporting endeavors related to work and income. However, due to the heat and intensity of Mars, you’ll need to make sure you don’t accidentally direct it in anger towards others, especially loved ones. The only particularly troublesome part of the chart this month is the presence of Saturn in Sagittarius, which has been its residence for the last two years. Saturn was retrograde for the last month, which would have caused expenses and travels, and potential issues with family and your father’s health. On the 6th, Saturn will quit its retrograde motion, which helps it a little bit and keeps it from being as difficult. Its aspect on the 9th house of Virgo can stint spiritual progress due to business, but this will be mitigated this month from auspicious aspects that re-energize the spiritual dynamic of your life. The month begins with the Sun strongly placed in Leo alongside Mercury, which is good for recovering health and nourishing the body, especially since the Sun receives a strong aspect from the exalted Mars in Capricorn, making this a good time for diet and exercise. On the 15th the Sun leaves Leo and enters into Virgo, where it is joined a few days later by Mercury. This transit is good for travel, pilgrimage, and service to a teacher or senior, someone you look up to. It also may lead you to spend time with your father or paternal side of the family. If you are in work-mode, this is a great time to focus on getting contacts and coordinating with partners for a big project or work endeavor. Venus and Jupiter are both in Libra, where they can open a lot of doors for your work and any projects your working on, especially those related to the arts or to writing. This is an ideal time to focus on completing big work projects, and is also conducive to getting an office or a vehicle for work. The month begins with a strong Sun in Leo accompanied by a friendly Mercury. This is an excellent transit for new relationships as well as new job opportunities and contracts. The Sun helps give you a sense of fulfillment and purpose and can help clarify the direction you are heading in life and what you ultimately want out of life. A lot of Aquariuses will find that over the last few weeks (the Sun entered Leo on the 15th of August) there has been a strong desire to change your work and your life situation a different direction, with an uncharacteristic amount of clarity in this regards. This desire needs to be remembered, because even if you can’t implement it just yet, the clarity you’re getting is real and revealing, and ultimately pursuing that path will bring you a sense of harmony and purpose. 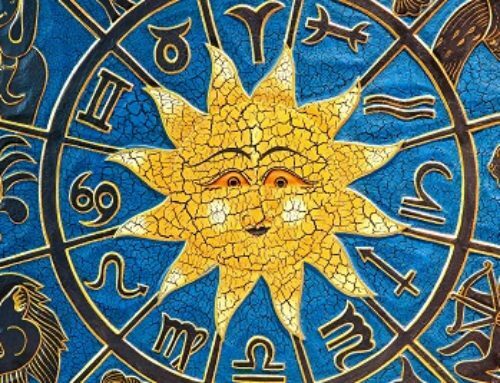 On the 15th the Sun will enter Virgo, which agitates your health and can make finances stressful, it is soon joined only a few days later by a very strong and auspicious Mercury to put things right again. This transit supports goal-oriented expenses (like paying off debts) as well as expenses for education and health. For those more spiritually inclined, this is a great transit for learning about the unseen world, studying philosophy, or doing a retreat or practice intensive. Another use of this transit is to work on your health, refining your diet and getting into exercise. Venus and Jupiter are strong in the 9th house of Libra, a position that gives more personal and spiritual results as opposed to mundane or worldly results. The 9th house is a place of self-refinement, character development, education, and philosophy. The placement of Venus here really helps to open up the heart to new experiences, especially under the guidance of an authority figure such as a spiritual teacher. 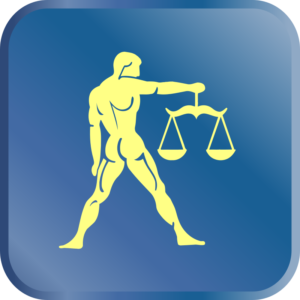 Due to the financial role of Jupiter for all Aquarius ascendants, its transit in Libra alongside such a strong Venus can give a good raise at work or result in some good investments. The strength of Venus also makes this a good transit for relationships, and because Venus technically rules medicine and vehicles as well, it is likewise a good time for endeavors related to these things. 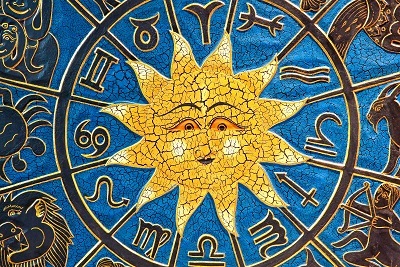 In vedic astrology we have the concept of an “upachaya signs”, meaning that some signs in your chart have the special designation of helping you grow and develop, and because we often grow best through trial and tribulation these signs tend to have a negative connotation for most people, especially people who are averse to work and trials. This month all of these “upachaya” signs of growth and transformation are either directly active or have a very strong planet aspecting them, making this a definite theme of the month. On the upside, this means you can easily learn some new skills, especially related to medicine, art, and music, but on the downside, some more difficult signs of growth are also active. In particular, the 6th house of hardship and servitude is very strong for the first two weeks of September, making you perform a lot of work for superiors, your father, or the government, and/or a lot of work on your house. 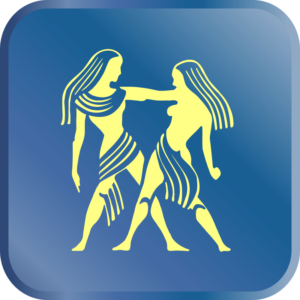 Mercury here isn’t good for relationships and can cause fights with a spouse or significant other. On the 15th, the Sun leaves Leo and enters into Virgo, where it is joined a few days later by Mercury. This transit generally also causes a lot of work, and Saturn’s aspect will tend to make this very menial and low-paying work, if not forcing volunteer work on you. The aspect of Mercury is good for education endeavors, and when considered alongside a strong Venus and Jupiter in Libra, the influence of Mercury is good for higher education and academic opportunities, especially those related to the arts or medicine. An exalted Mars is moving through Capricorn alongside Ketu (southern node of the Moon used to calculate eclipses). You have to be careful with this combination! opportunities can arise to make money through immoral or even illegal activities involving drugs, violence, or theft. When combined with the stress and discomfort that Saturn causes for your work, making you feel like you’re not getting anywhere, this transit becomes even more tempting to abuse. The best use of this energy is to work on creating multiple smaller sources of income, and if you have been interested in getting started in real-estate this is an excellent transit for such endeavors.